There is a very interesting project underway to recreate the ZX Spectrum and more. The Bluetooth ZX Spectrum has been successfully crowdfunded, and it is due to go on sale in September 2014. If you want to go back to the 1980s — to the wonderful era of 8-bit gaming, you can instead try one of the many ZX Spectrum emulators. "I remember being excited at the new Sinclair when my dad brought it home, but my strongest memory now is of what might be the worst keyboard I've ever had the chance to use. The arcade is dead. It's not even a statement to be contended any more. The London Trocadero's Funland pulled its shutters down two years ago, and late last January, Goodge Street's Casino, a yellowing warren that once housed an eclectic and exciting array of cabinets, gave up on arcade gaming altogether. It's not a phenomenon exclusive to the UK capital, either: in Tokyo, the 50 yen arcades synonymous with the rose-tinted view many have for the Japanese scene are dwindling in number, with Shibuya's finest example shutting its doors for good last year. There are the occasional havens - Acton's Heart of Gaming is a destination as thrilling as any arcade that's gone before for the real aficionado - but they're museums, preserving a moment of time and tenderly suspending it in stasis.Arcade games, though, are doing great. At least that's what a Tuesday afternoon stroll around the amusement and leisure show EAG International would suggest, where you're met by a large hall within London's Excel Centre buzzing with the noisy energy of slot machines, toy catchers and over-sized video games. It's an odd event, where the trashy flotsam of seaside resorts is polished up and presented under the stark light of an exhibition centre, and where kids' kart manufacturers go head to head with their knock-off Ronolt and Bull Dog F1 cars.Yet despite the end-of-pier atmosphere, it's still the biggest names commanding some of the biggest floor space. Bandai Namco bosses the centre of the hall, spearheading this year's renewed focus on its most recognisable mascot with a dizzying array of Pac-Man products: there's Pac-Man Ghostly Bowling, Pac-Man Ticket Mania and Pac-Man Basket, as well as a genuinely brilliant branded air hockey game Pac-Man Smash, which floods the play space with dozens of pucks at set points during a match. The stuff of nightmares. Where's UK Resistance when you need it? There are more traditional games, too. New, brasher and bolder configurations for Dead Storm Pirates, an on-rails shooter on the grandest imaginable scale that's a distant successor of 1991's Starblade, or a four cabinet set-up for Mario Kart Arcade GPDX. There are new games, too, such as Raw Thrill's Batman, a punchy romp around an open world Gotham City in the Batmobile that's housed in an exquisitely showy cabinet, or Super Alpine Racer, a towering remake of the original complete with a 55-inch vertically mounted screen.Towards the far corner of the hall, Sega Amusements has set up camp. It's an odd outfit itself, or at least one that's not widely understood; originally set up as a local distributor for Sega Japan, it soon became a wholly-owned subsidiary that would import over cabinets or components for assembly from its Cardiff base. Over time Sega Amusements has become much more, though, branching out to develop its own games as the global appeal of the arcade waned. "I think it's really because in Japan the core demographics changed for amusements," Patrick Michael, Sega Amusements' head of local R&D, tells us of the shift in arcade appetites. "The arcade market in Japan is to a certain extent a lot older - there's a lot more repeat business, and it's a much more social thing where people go after work to play a game for maybe an hour. They're more expensive games that require a lot of commitment, or a save game with an IC card - they're big, expensive things. Like World Club Champion Football, which is a football management title - that 8-player cabinet is £80-90,000, and that's a big investment for a European operator who has a more casual player-base who perhaps go to a location once a month. "A trip to any popular Japanese arcade would bear that out, where salary men recline in expensive multiplayer set-ups for sports management games, while elsewhere younger players flock around mech battlers spun out from Mobile Suit Gundam, or Sega's own Border Break. They're titles alien and most likely impenetrable to western audiences, making translation for local audiences improbable or even impossible. Two men about to share a Special Dream in Dream Raiders, a motion cabinet that offers a lightly interactive ride. It's proven a hit for Sega since its release in 2012. Twitch Plays Pokemon looks like an average Twitch game stream at first. In fact, it is a game in itself, as viewers are able to control the hero of Pokemon Red and Blue by inputting commands in the streaming platform's chat window. As of this writing, the stream is nearing ten thousand viewers after close to two days of play, many of which are wildly typing "a," b," "up," "down" and other instructions, sending the obedient Pokemon master into frenzied directions. We've embedded the stream after the break. As much as it sounds like players would never be able to accomplish much in this fashion, viewers were able to push on past the second gym leader of the game, Misty. Our math may be shaky at best, but we figure that with the diligence of the stream's viewers, we'll have collected all the Pokemon in a month. We shudder to think of what will happen with the beloved, singular Master Ball in the game, however. Check out this sweet-piece of homemade handheld gaming! [Jianan Li] has been hard at work on the project and published the updates in two parts, one that shows off the PCB he had fabbed for the project, and another which details the 3D printed case. This is, of course, is the culmination of the Tetris project we first saw as an incredbily packed, yet thouroughly tidy breadboarded circuit. We really enjoy the 8-sided PCB design which hosts all the parts and gives you a place to hold and control the unit, all without seeming to waste much real estate. The case itself is quite impressive. The openings for the square-pixel LED matrices (the original design had round pixels) and the bar graphs all have nice bevel features around them. The control area has a pleasant swooping cutout, with blue buttons which stand out nicely against the red. Check out the slider switch by his left thumb. He printed matching covers for this slider, and the two that stick out the bottom. Also on the bottom are female pin headers so that you don’t need to disassemble the case to interface with the electronics. All of this and more are shown off in the clip after the break. If you've ever played Sewer Shark or other beloved full-motion video games of the '80s and '90s, then you're likely familiar with Ken Melville's work. Today we regret to report the famed FMV developer and Digital Pictures founder has passed away at the age of 65. Melville not only produced Sewer Shark, but he also created numerous other FMV games such as Make My Video: INXS and Make My Video: Kriss Kross. Melville also helped create the controversial Sega CD game, Night Trap. 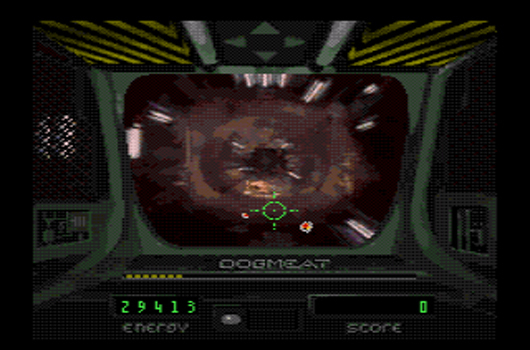 By the late '90s, FMV games fell out of prominence. During the genre's heyday, Melville worked on over a dozen FMV games overall. Our sympathies go out to Melville's family and friends. As anyone who has downloaded Microsoft Flight Simulator X or X-Plane knows, piloting an aircraft using a keyboard and mouse just doesn’t work. If you’re going to get in to the world of flight simulators, it’s best to go all-in. [Stevenarango] knows this and built a great Cessna 172 cockpit for his personal use. All the gauges, instrument panels, and controls are from Saitek, one of the best manufacturers of home/hobbyist flight controls. The instruments were mounted on a 5mm piece of PVC, which is mounted on a C172 cockpit-sized wooden frame. All the instruments, from the throttle, pedals, yoke, trim wheel, individual LCD steam gauges, and multi panel are driven by USB. As for the actual simulation, [Steven] is using a fairly powerful computer running Flight Simulator X with dual monitors – one for the glass cockpit and another for the windscreen. It’s not quite the same scale as building a 737 in your garage, but it’s more than sufficient for an awesome flight simulator experience at home. Final Fantasy V - Legend of the Crystals v0.4 released! Two) That they weren’t going to sit around while it languished in obscurity. So they copied the game, and went to work. They hacked in an english alphabet and did the translation as best they could for a group of teenagers just futzing around, and the very first fan-translation of a Final Fantasy game was born. This release aims to clean up that fan translation a bit, and give you a new excuse to play Final Fantasy V in the process. The punctuation (!!) was toned down, phrasing was altered where deemed necessary, and all in all, the awesomeness level of the entire game was incrementally increased. Longstanding UK developer Elite Systems has come under fire from a number of ZX Spectrum developers accusing the company of failing to pay royalties for its Spectrum iOS and Android apps. Elite recently launched a successful Kickstarter project to manufacture and sell a Bluetooth ZX Spectrum keyboard. The keyboard, originally rumoured to be in development as far back as February 2011, will come complete with rubber keys and be available on iOS, Android and Windows devices. Rod Bowkett's Dynamite DanHowever, a number of developers have come forward to accuse Elite of failing to pay them royalties for the previous ZX Spectrum app it released on iOS and Android three years ago. ZX Spectrum: Elite Collection was released in October 2010, and initially included six Spectrum games: Chuckie Egg, Saboteur!, Turbo Esprit, Harrier Attack, Buggy Boy and Frank Bruno's Boxing. Over the years a number of DLC packs have been added too, expanding the collection to around 200 games. While Elite owned the rights to some of these games, most were acquired through licensing agreements with their original programmers, with royalties promised for each sale. Now, fourteen of these developers have made themselves known on the Bluetooth ZX Spectrum Keyboard Kickstarter's comments section, saying they have yet to receive a single payment in more than three years. Jon Ritman's Match Day"Don't let this [Kickstarter] go through," stated Costa Panayi, who was the first to raise the issue. "Elite has been selling my games since 2010 and has never paid me a penny. Others are in the same position. If this goes through you will lose your money." Rod Bowkett added: "I can only echo Costa Panayi's comments. Elite features my games Dynamite Dan I & II yet has not supplied quarterly statements or paid a single penny in royalties to date. If [company director Steve Wilcox] can't be trusted to honour the terms of a legally binding agreement can he be trusted to deliver this keyboard? I doubt it. I strongly urge you not to contribute to this project." Mike Lewis added his voice to the growing crowd of irked developers. "I am the author of Redhawk and Kwah, originally published by Melbourne House in the 1980s," he explained. "Like Costa I also signed an agreement with Steve Wilcox and Elite and have yet to receive a royalty statement, any payment or even a response to emails. Please don't buy Redhawk and Kwah through Elite. They need to pay the original developers they are trumpeting about having the licenses from before developing new projects. Chris Hinsley's Everyone's A Wally"My contract with Elite Systems for Redhawk and Kwah states 50 per cent of the revenue to be payable as royalties to me and for quarterly royalty statements to be made. I was even sent a sample royalty statement. Since signing the contract and Redhawk and Kwah appearing as in-app purchases on the IOS store I have heard nothing from Steve Wilcox or Elite at all." Some of the developers, such as Steve Crow, have entire six-game DLC packs dedicated solely to their work. "I am the author of Starquake, Firelord, and Wizards Lair for the ZX Spectrum," Crow said. "Like the other game developers here Elite Systems have been selling my games illegally, with no rights or contract to do so and making money from my original work which I hold all rights to. Check out the Steve Crow pack on Elite's iTunes ZX Emulator. In my opinion, I have serious concerns about this Kickstarter project and whether the Bluetooth ZX Spectrum keyboard will ever see the light of day." "The public statements are far too wide-ranging to be addressed in this single response. However I acknowledge that I, as a director, may have failed in my duty to ensure that some of the reports and some of the payments - due to the ZX Spectrum game developers, with whom Elite has contractual relationships - were made in accordance with the agreed terms. I am working toward that unacceptable position being remedied within the next 28 days, sooner if possible. I believe that all of the ZX Spectrum games included or included as in-app purchases within the above referenced apps were included with written consent, where such consent is available but I will need to review the written records relating to some 200 games before making a more fully informed comment." The fourteen developers listed above responded to this with a group statement, written by Rod Bowkett. "We are so enraged by Mr. Wilcox's 'statement' that we have one of our own," it began. Sandy White's Ant Attack"Given what we've been telling you over the last few days can you imagine how offensive we find 'we take our contractual relationships most seriously'? Frankly, anyone who buys that deserves to lose their money. "We ask you to not purchase any Elite product that either includes any of our games or supports in-app purchases of them. Mr. Wilcox has no rights to them because he has repeatedly failed to honour the terms of the agreements with us and is as a result in breach of copyright. In the case of Steve Crow he never even had an agreement in the first place. "In a court of law he wouldn't have a leg to stand on and he knows it. Do you honestly think he's going to suddenly change his modus operandi when it comes to this project? Good luck with that!" "Henk Rogers was a Dutchman who arrived in Japan in the 1980s following a girlfriend (later, his wife). An inveterate D&D player, he became enthralled with the NEC-8801, and nearly killed himself trying to create a D&D-like world that he released as The Black Onyx. No one initially knew what to make of it, and the game sold slowly at first. Through savvy pricing, packaging, and press attention, sales grew, and the game jumpstarted RPGs in Japan. Rogers got left behind, though, as Dragon Quest and Final Fantasy hit a local nerve better than his efforts. 'I also realized that I didn't quite understand the Japanese aesthetic and way. These games were quite different to mine, and just struck a more effective cultural chord.' Rogers went on to license Tetris to Nintendo, though, so he did just fine." [Petri]‘s first computer was the venerable Commodore VIC-20, predecessor to the Commodore 64. With only 5kB of RAM, a very simple graphics chip, and BASIC, it’s a bare-bones system that’s perfect for a 7-year-old future programmer. [Petri] was trying to figure out something to do with this old computer, and realized the simple schematic would allow him to recreate those classic VIC-20 cartridges using modern hardware. Indie music group Man Factory recently concluded their six-year battle to translate the universe and characters of Street Fighter 2 into a rock opera. No, you are not hallucinating, and yes, you did read that right: a rock opera. "Street Fight" is a series of threealbums released on Bandcamp that centers its story on Chun-Li and Ken, though other characters also make appearances and sing songs. 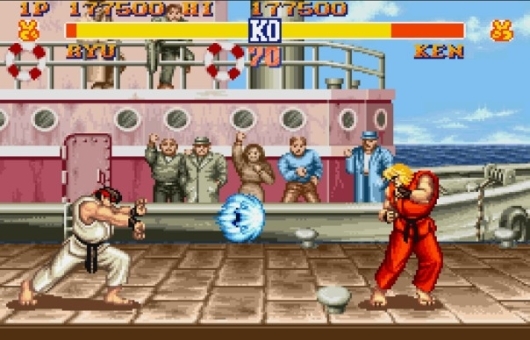 Chun-Li seeks revenge on M. Bison for the death of her father, while Ken is punching his way through feelings related to his girlfriend's tryst with buddy Ryu. Here's some of our favorite lyrics: "Blanket off I'm takin' off I'm gettin' outta here. How come she always mentions him? Could she be shy-yuken my best friend?" If it weren't referencing the wrong game, we'd call this a flawless victory. To help hit its Bluetooth ZX Spectrum funding target, Elite will be traveling up and down the country in a PromoVan. Members of Elite’s staff will accompany the vehicle, and will be on hand to discuss the Bluetooth ZX Spectrum device and take pledges. The Bluetooth ZX Spectrum is a keyboard, initially for iOS, in the form-factor of a 48k Sinclair ZX Spectrum. Android, Windows phones, tablets and PCs and Macs will also eventually be able to use it. The firm is looking for £60,000 to fund the project. Those interesting in backing it can visit the Bluetooth ZX Spectrum Kickstarter page for more information. With the 40th anniversary of the release of Dungeons & Dragons coming up this weekend, the Internet is ablaze with reflections on its legacy. Dave Ewalt gives an intro for the uninitiated. Ethan Gilsdorf explains how 'all I need to know about life I learned from Dungeons & Dragons'. Finally, Jon Peterson presents . "The real question is how many characters have you lost in Tomb of Horrors? That Myst’s creators bothered to make up a pretend language is worth celebrating. Remember the weird language used by the D’ni people in the Myst series? It was a thing of beauty, and added an interesting layer to the game. Those are not the main reasons why I liked it, though. What I really liked was knowing that the developers had bothered to create it, and had done so with a depth and commitment that frankly made them heroic. But I am a sucker for that sort of thing. I’m the kid who reckoned the best thing about the Star Wars films was the languages. Heck, they even needed subtitles. Swoon! So naturally I imagine the Myst guys had a similar mindset to me and loved the challenge of making up their language as well.Sure, there are other games with made-up languages in them. Jade Empire on Xbox had one. Even – if my ancient memory can be relied upon – the Ultima series had monsters and gargoyles talking a gibberish dialect. Of course, games that pull this trick don’t usually require the player to actually learn these languages (although it can help). The reason I think they’re there is to create a distance between those who understand them and those who can’t – namely, you.When you play a game, you’re so immersed in the world that it’s hard for any element to seem weird. It takes minutes to get used to the game physics, the abilities of the character or vehicle you control, and the effects you can wreak upon those around you. It’s possible to become very comfortable with a game world very quickly. And that’s a good thing. But sometimes you just need to say to the player, “These guys over here are just not like you. They’re not meant to be understood. Not by you right now, at least. That’s why they talk like that.”So I love weird languages in games, and I say this as someone who’s spent a vast amount of time playing games that use nothing but the impenetrable and baffling language of Japanese. But it’s not just weird languages. It’s weirdness in games itself. And it has always been with us. I need only say two words: Jeff Minter. The Mega Man board game Kickstarter ended over the weekend with a grand total raised of $415,041, mega blasting its original $70,000 goal into mega smithereens. That means backers who pledged $70 or more are due to receive the blue bomber's licensed venture onto tabletops sometime in October. That juggernaut-like funding means a ton of stretch goals were unlocked along the way, including one for fully colored game pieces in every box. Even though the Kickstarter's over, creator Jasco Games is keeping Paypal funding open, and that will go towards further stretch goals. 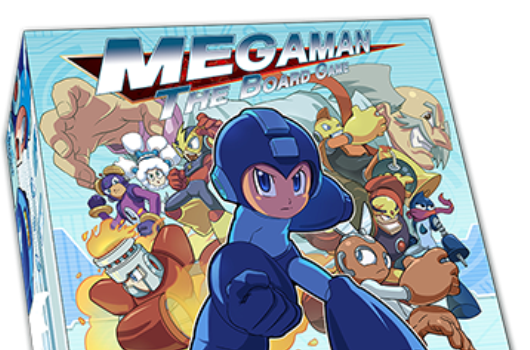 There's no word yet on when non-backers can expect to find Mega Man: The Board Game powering up retail shelves. Megaman game? - Dr. Discord's Conquest Released! Are you a fan of these characters? Or are you just looking for something new in your Mega Man game? You’re sure to find a new adventure here! The game has been completely redesigned, and now features colorful ponies in place of Mega Man and the rest of the robot masters. If you’re not a Mega Man player, don’t worry! You can still get a kick out of this one as the difficulty is nowhere near in comparison to the original games. Glory of Heracles III version 1.1 patch is out! If you haven’t played Glory of Heracles III yet, or are planning to replay it sometime, please check out our updated patch for this game. It’s a neat Dragon Quest clone set in Ancient Greek with an amazing story and some legendary plot twists. So legendary in fact that it got the game’s writer Kazushige Nojima a job at Square as main writer for Final Fantasy VII and many Final Fantasy games onward. He had quite a lot of fans at Square and FFVII director Yoshinori Kitase even asked him to write a mystery plot like the one in Glory of Heracles III. So if you’re a fan of FFVII you might want to check out this earlier take on some of the same themes. Or if you like Dragon Quest you might enjoy this for the oldschool gameplay. JRPG experts might spot references to early DQ, Mother/Earthbound and Final Fantasy IV. This title really has a special place in JRPG history both looking back at earlier titles in the genre and influencing so many games to come after it. It is a fan and critics’ favorite even today in Japan. Hopefully with our translation it can get more recognition here in the West as well.